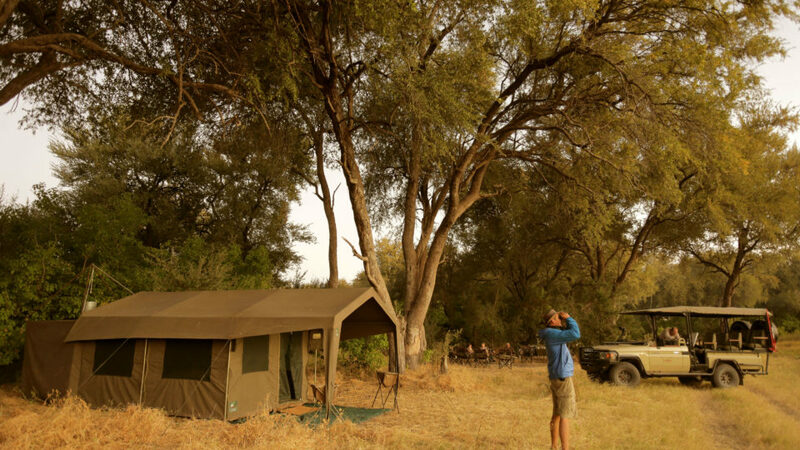 The tour is fully inclusive luxury private en suite mobile tented camp accommodation, professional guide, most meals & beverages, activities, laundry, park fees and permits. Main mode of transport is 4x4 game viewing vehicles, light aircraft and boats. Having travelled with these twice now I found they like a well-oiled machine. Nothing is too much trouble for them and they go out of their way to make sure every aspect of your holiday goes smoothly. They’re like a well-oiled machine and I can’t thank Steph and Stefanie for the great experience. I have no hesitation of recommending them. You have a wealth of knowledge, and you and your Company's organisational ability shows through, as everything was taken care of and made us feel comfortable to enjoy the experience knowing you had our best interests at the forefront. You knew exactly where to go and engaged expert local guides to enhance our experience. We saw everything I think you could see in the regions travelled and appreciate so much your kindness and friendship. We would not hesitate to use your services again. Upon arrival at the Maun International Airport you will be met by your Fly in Safari Co. guide. 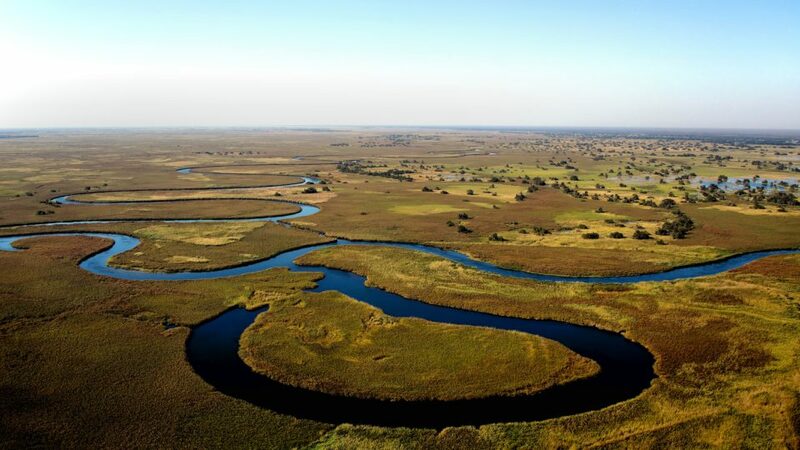 Your guide will do a quick introduction and briefing before you depart on a scheduled scenic light aircraft flight to a landing strip in the Okavango Delta to start your luxury mobile safari. The drive from the landing strip to our private luxury mobile camp will be your first game drive. 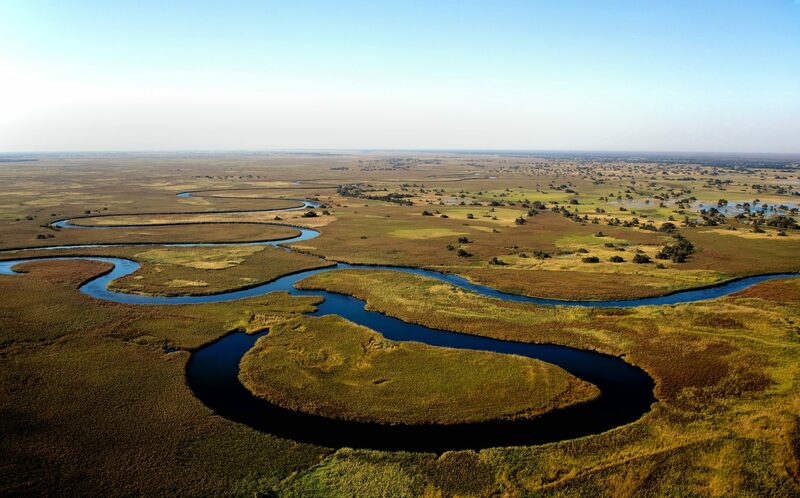 The 16 000 square km Okavango Delta is one of the biggest inland deltas in the world and a UNESCO World Heritage Site. 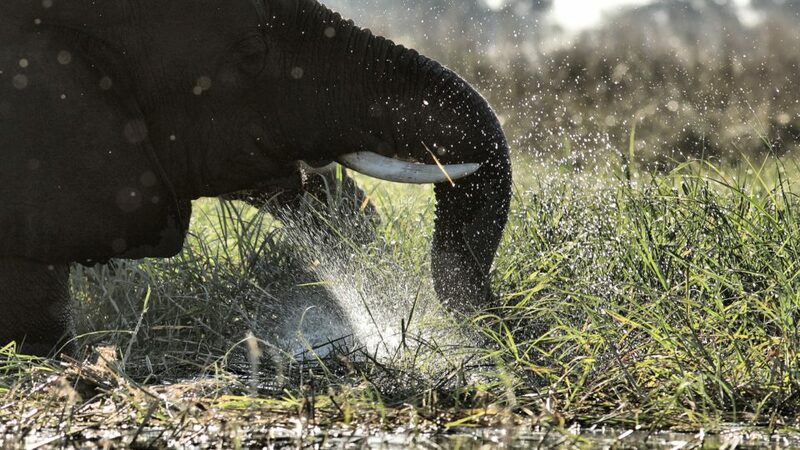 We spend the next 2 nights in the wildlife rich Moremi Game Reserve area of the Okavango Delta. 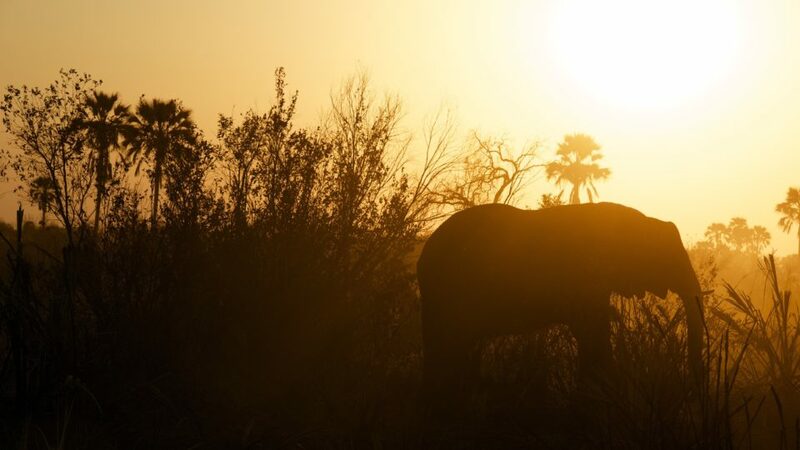 The Moremi Game Reserve is the only proclaimed Game Reserve within the Okavango Delta and rated one of the top Game Reserves in Africa. Enjoy sundowners at a scenic location before returning to camp where our safari chef will be busy preparing dinner on the campfire. 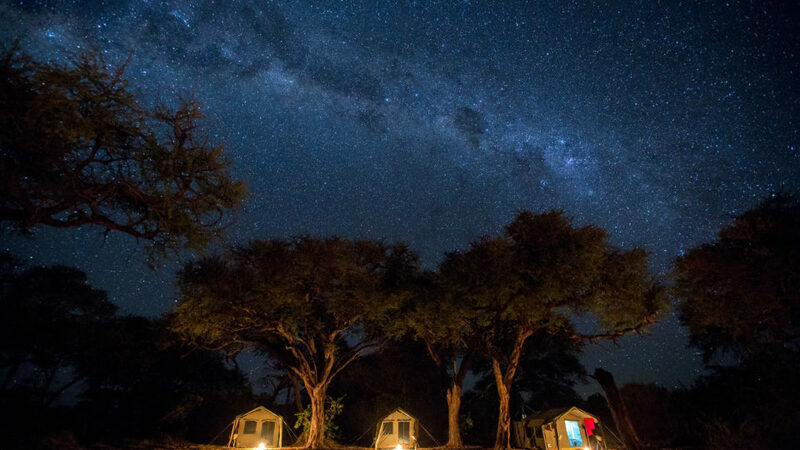 Enjoy after dinner drinks around the campfire under a blanket of stars. An early start to make the most of the early morning for prime game viewing. We start our game drive exploring the wildlife rich Xakanaxa area of the Moremi Reserve that is characterised by open floodplains, marshes, lagoons and channels, giant termite mounds, woodland and savannah. Wildlife and birdlife are prolific, and Moremi is amongst the best game reserves in Africa to track the endangered African wild dog. 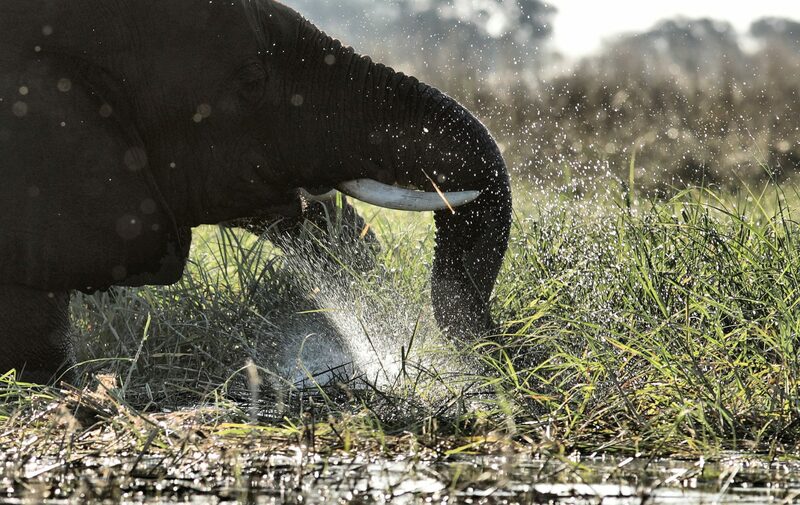 The Moremi is also known for excellent leopard, lion, elephant and buffalo sightings. The Red lechwe is one of the more unusual antelope species we search for that is commonly found in the Okavango Delta. An early breakfast before we depart on a slow game drive following the Manuchira Channel through the Moremi Game Reserve north-east towards the Khwai Community Reserve, a private concession area. We also visit the Dombo Hippo Pools in the morning to look for the resident hippo. The Khwai area is home to breeding herds of elephant, high density of hippo and crocodile and common predators include leopard, cheetah, serval and lion. The Khwai area is also home to 2 different packs of wild dog. Other game species we look for include giraffe, zebra, tsessebe, red lechwe and the less common roan and sable antelope to name a few. 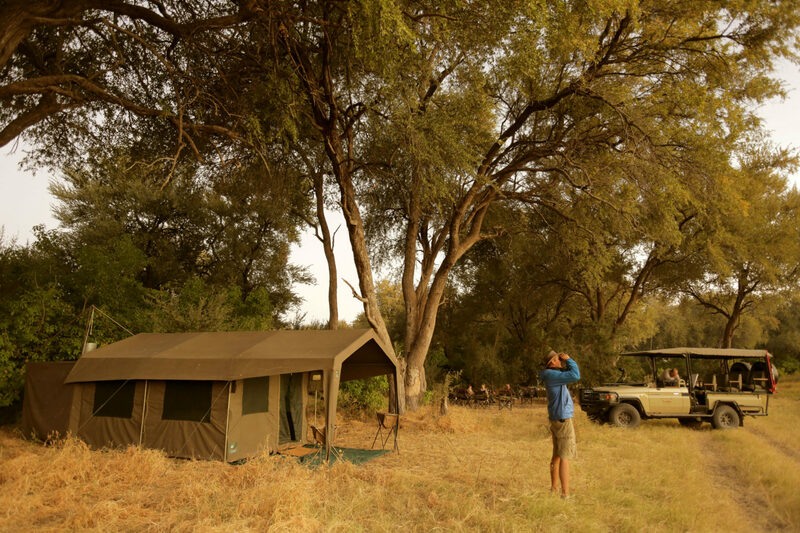 We reach our private luxury mobile tented camp in the late afternoon after an exciting day of game viewing. 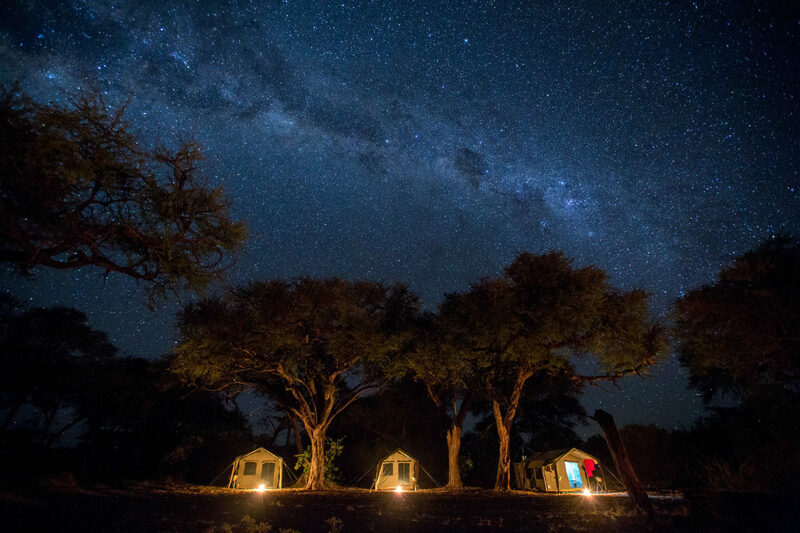 As we are staying in a private concession, we can also enjoy night game drives. We start early and explore the Khwai floodplains on an early morning game drive. As the Khwai Reserve is a private concession and not within the boundaries of a National Park, this means you will also enjoy night game drives and the possibility of a walking safari (seasonal) if your guide finds the conditions safe and favourable. We use spotlights on night drives to find the nocturnal animals one rarely sees during the day. 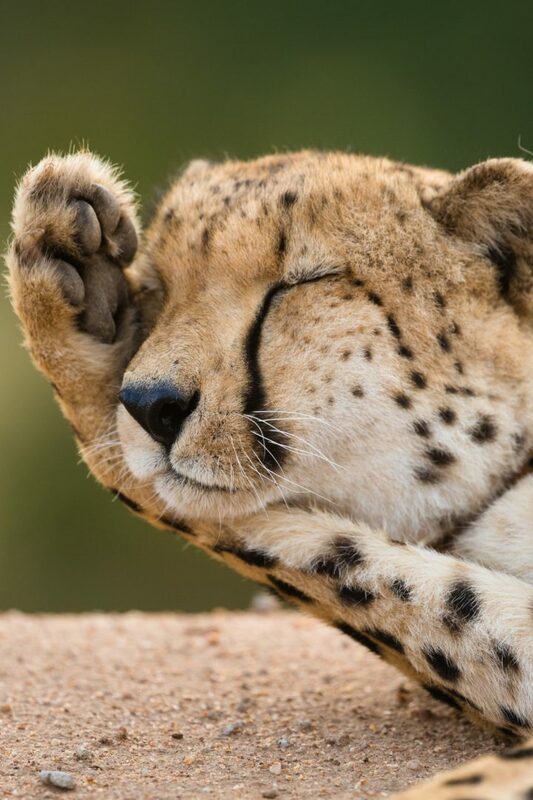 Lion, leopard, serval and African wildcat are common predators of the region with wild dog and cheetah being less common. 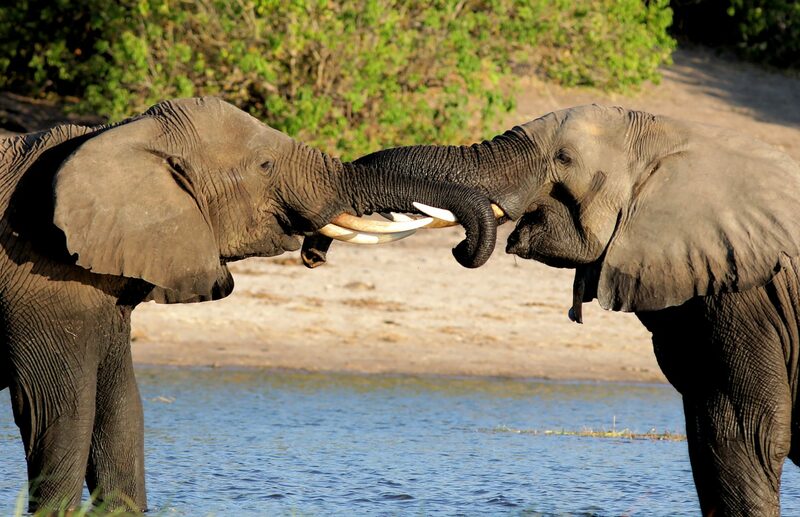 The Khwai has a healthy elephant population and buffalo move into the area seasonally. The swampy areas in the west are home to red lechwe while other ungulates include tsesebe, blue wildebeest, giraffe, kudu, sable antelope, roan antelope and impala. 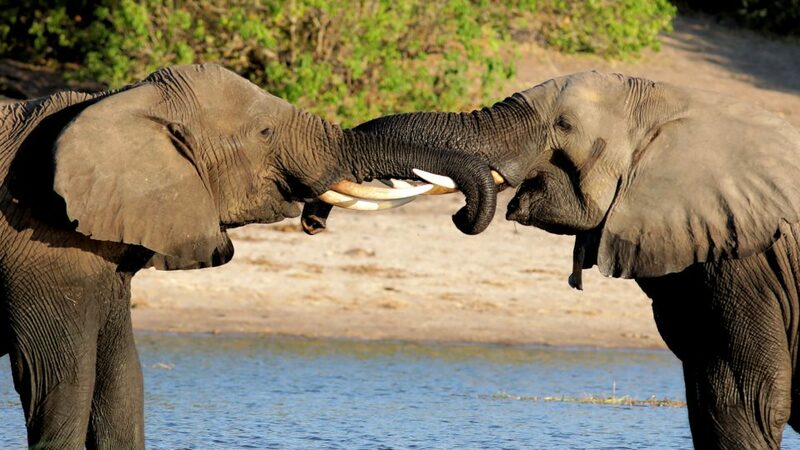 Today we leave the Khwai area and enjoy a game drive further north to the Savute area of Central Chobe. The scenery will also change to a more desert like landscape as we move further away from the Okavango Delta. We also look at some evidence of the ancient Lake Makgadikgadi that dried up more than 10 thousand years ago as we cross the Magwikwe Sand-ridge that formed the shoreline of this superlake, and the Mababe Depression that formed the old lake bed. 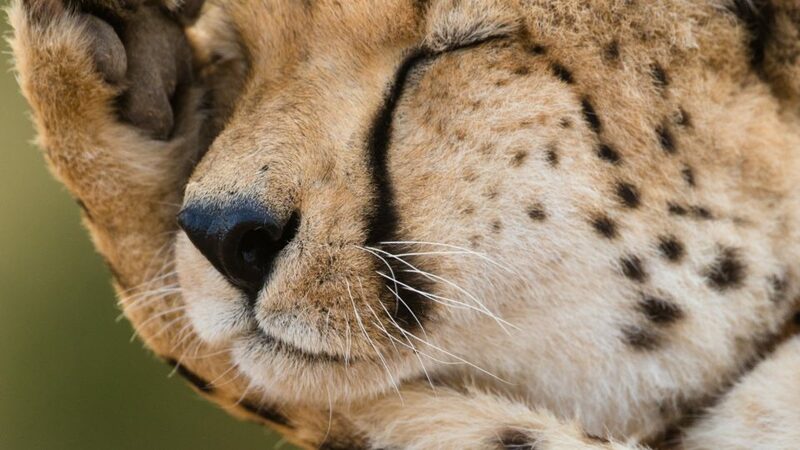 Apart from a wide range of wildlife species we can encounter today, we specifically pass through some excellent lion and cheetah country. We reach our camp in the afternoon. We spend the day exploring the Savute region on game drives. The area is not typically flat like the majority of Botswana and characterised by outcrops of volcanic rock and the Savute Marsh. These hills provide refuge to a completely different array of small wildlife, birds and vegetation. The Savuti has been the stage of some of Africa’s best wildlife documentaries. The vast open plains, strong lion, hyena and antelope populations make for excellent wildlife interaction opportunities on game drives, but it is especially the interaction between lion and elephant that the Savute is famous for. Lion prides that consists of 20 – 36 lions have over the years adapted to hunting fully grown elephants. 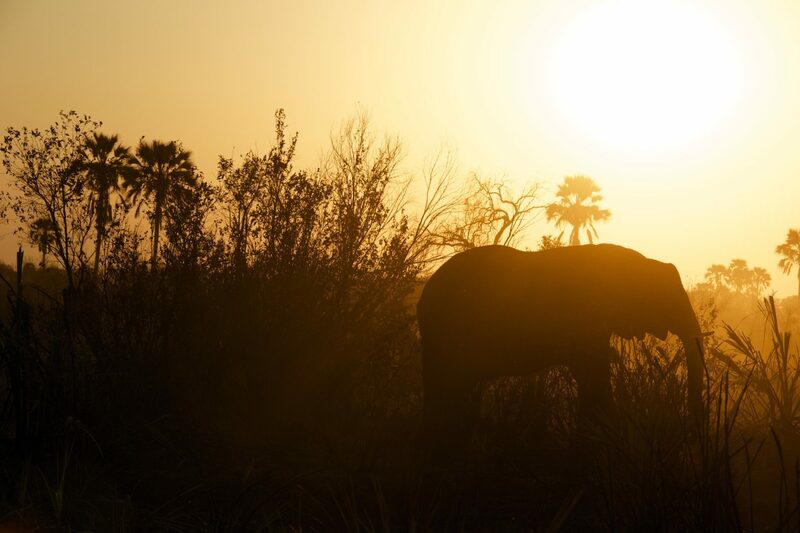 An early departure from camp as we head to the far north of Botswana where the Chobe and Zambezi Rivers meet. Safari ends at Kasane Airport.